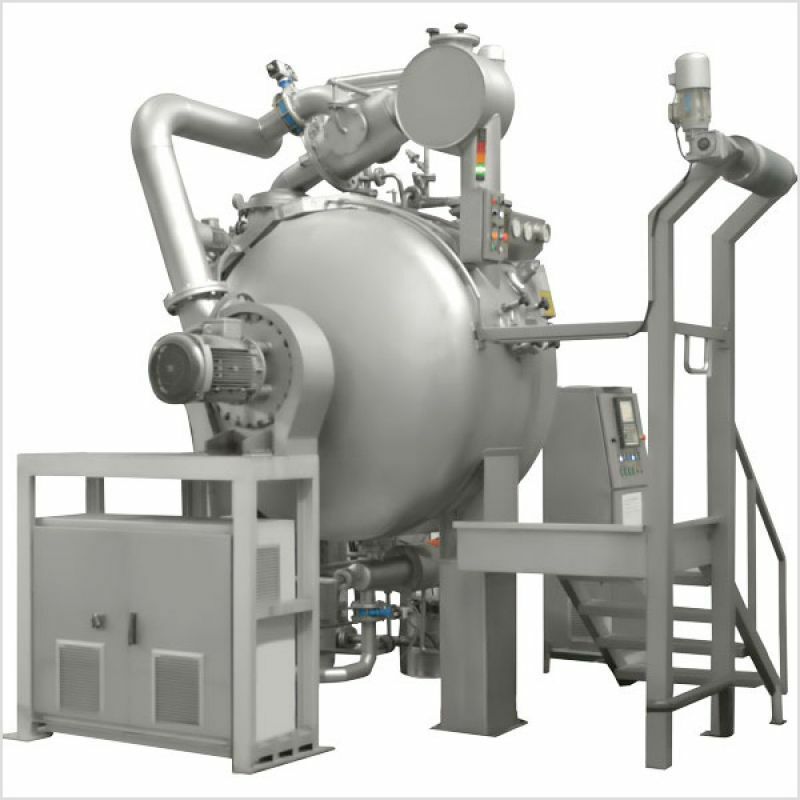 Synchron Airjet dyeing machine is a new concept, totally different to other dyeing machines and systems. This machine is especially suitable for synthetic and blended fabrics such as polyester, polyamid, lyocell, cupro, polynosic, microfibre, tencel, linen etc. and blend of all these synthetic fabrics with cotton or viscose. The biggest advantage of this system is to have very good levelness of dyed material and short dyeing process time, without creasing mark or overlapping of the material. • Fabric transportation is by a mixture of air and steam. Fabric movement is even ensured without dye bath. 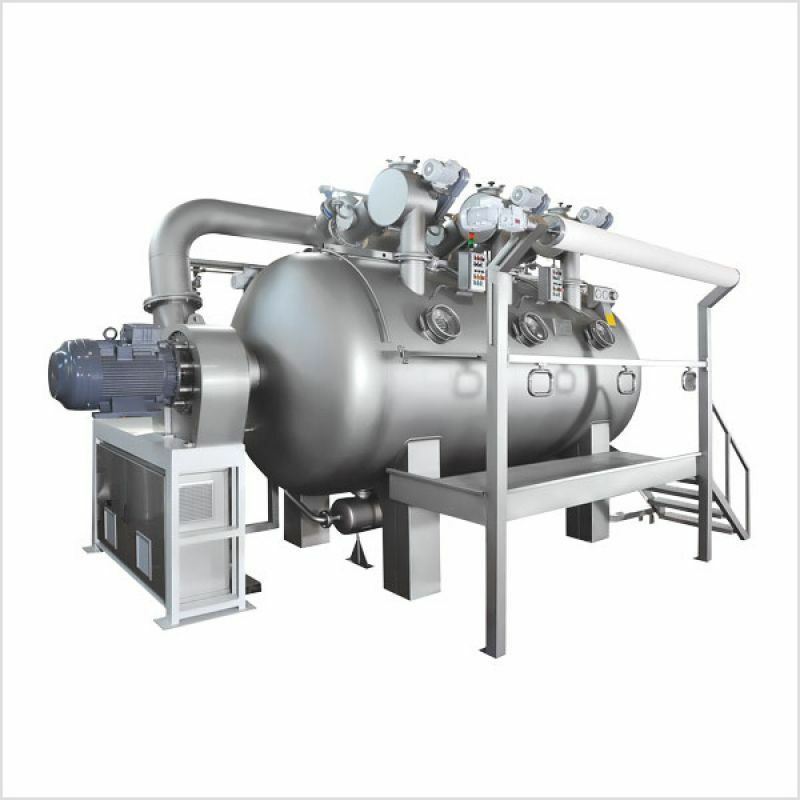 • Dyeing process is carried out in a gas medium, where dyestuff, chemical and auxiliaries are directly injected in a air-stream medium. • Bath will be sprayed in very fine and uniformly on the fabric`s surface. • The absorption and penetration of dyestuff thorough material and exchange time between the bath and the fabric is in an optimum level. • The fabric is moving during dyeing process constantly, that means from loading moment to unloading, draining and filling process. • The exhaust rate of the bath is very high, so that the waste water is clear and with a small residual amount of products.